Love Island have their own branded condoms. 6. Love Island have their own branded condoms. We bet you've been wondering - do the islanders bring their own condoms into the villa or are they supplied with them? 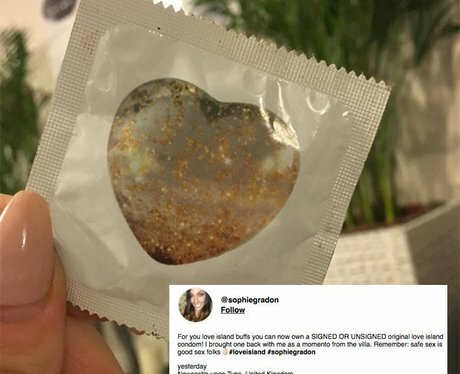 Well, it turns out they are supplied with Love Island branded condoms - as revealed by former Islander Sophie Gradon. There's a supply of around 200 of them for the islanders to use during their stay.